Then we calculated the same system in order to obtain wave functions using 16 CPU cores of a 2.6 GHz Xeon machine, where the computational time was about 2 minutes. Figure 23 shows isosurface maps of the HOMO and LUMO ( -point) of MCCN calculated by the above procedure. Although the difference between the O( ) method and the conventional diagonalization scheme in the computational time is not significant in this example, the procedure will be useful for larger system including more than several thousands atoms. 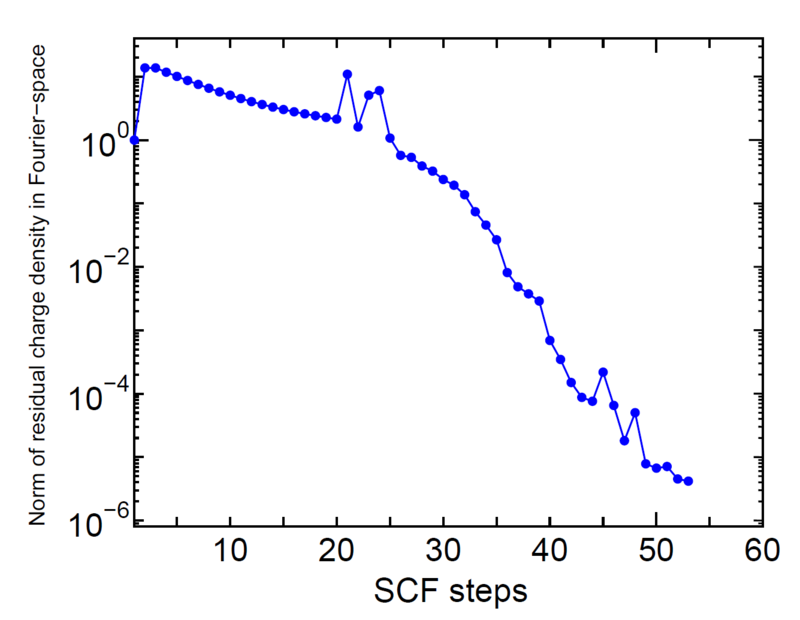 Figure 22: Norm of residual charge density in Fourier space as a function of SCF steps for a multiply connected carbon nanotube (MCCN) consisting of 564 carbon atoms. The input file is 'MCCN.dat' in the directory 'work'. 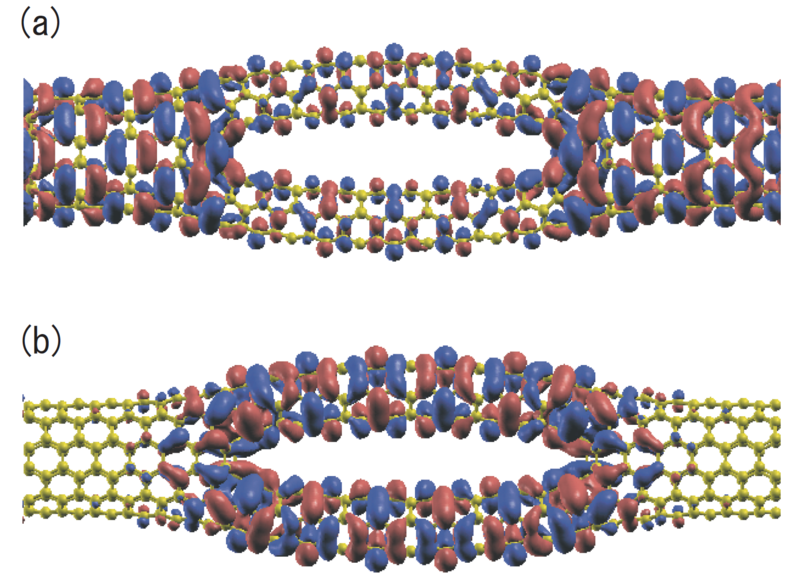 Figure 23: Isosurface map of (a) the highest occupied molecular orbital (HOMO) and (b) the lowest unoccupied molecular orbital (LUMO) of a multiply connected carbon nanotube (MCCN) consisting of 564 carbon atoms, where was used as an isovalue of the molecular orbital.